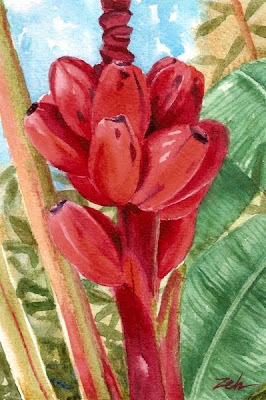 These red bananas growing in the botanical gardens in Vero Beach, Florida make a pretty tropical painting. This painting has been sold. Take a look at some of my other paintings for sale in my shop at JanetZeh.Etsy.com. Thanks for stopping by today!